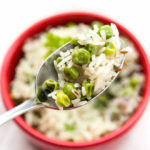 Wondering what to do with the leftover boiled rice? 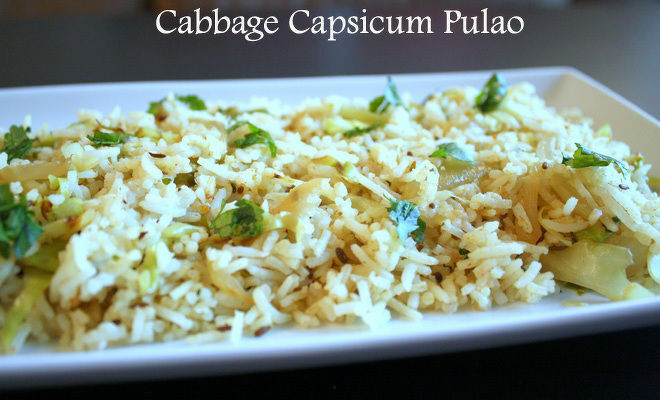 Here’s what you can do, make a yummy cabbage capsisum rice (pulao) which is finger licking good. It can be made in a jiffy. 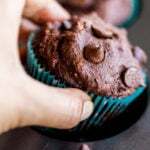 You only need few ingredients for this. 1. 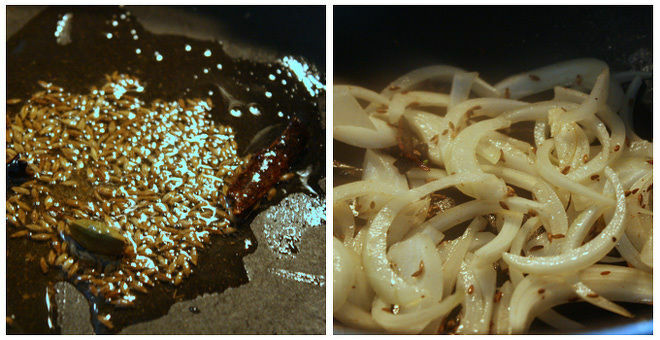 Heat oil in a pan and add cloves, cardamom pods, cinnamon stick and cumin seeds to it. Once the cumin seeds splutter add in the sliced onions. Cook the onions till they are light golden brown in color. 2. 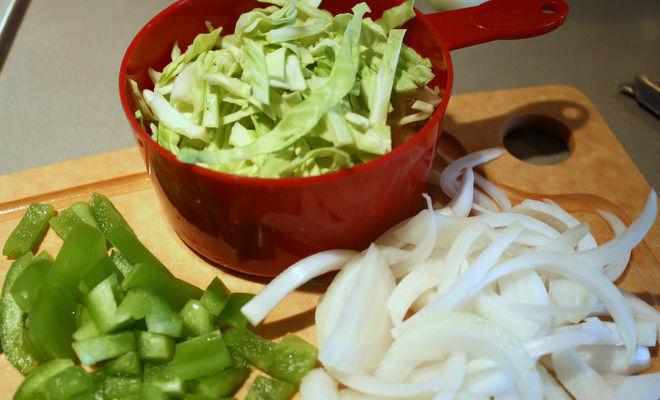 Once the onions are done, add in the chopped cabbage and capsicum. 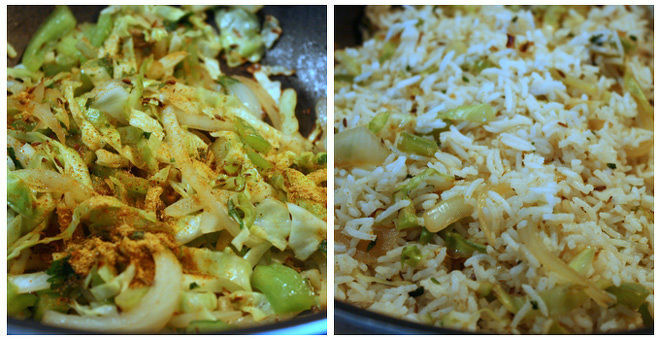 I like the crunchiness of these veggies in the rice so I did not cook them for long. So cook for like 3 minutes only. Next add in the chopped coriander and mix well. 3. 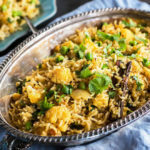 The spices go in next, I used this Shaan vegetable biryani masala that I had in my kitchen but you can use any other brand or you can also use coriander powder instead. 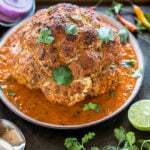 So add in the biryani masala, garam masala, red chilli powder and salt and give it a good mix. Add in the boiled rice next. Add it slowly while mixing the rice with the vegetables. 5. Lower the heat and let the pulao simmer for 5 minutes. This is to ensure that the rice absorbs all the fragrance of the spices. 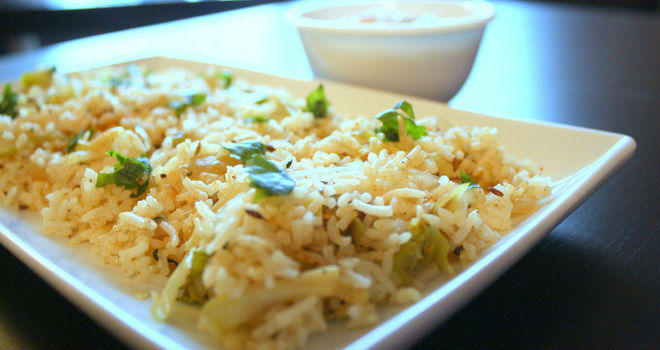 Sprinkle some biryani masala on top and garnish the pulao with chopped coriander. 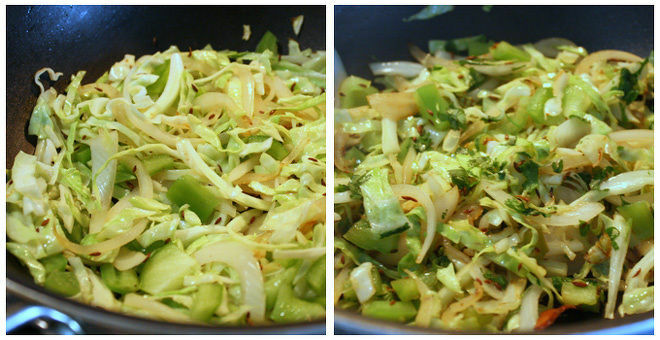 Cabbage capsicum pulao is ready to serve. 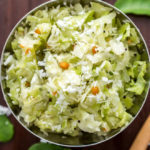 I made this quick boondi raita to go with my pulao and it made a yummy combination. You can make any raita of your choice or can have it with plain yogurt as well. 1. 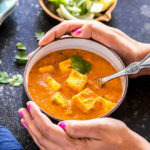 You can add ginger garlic paste to add more flavors. 2. 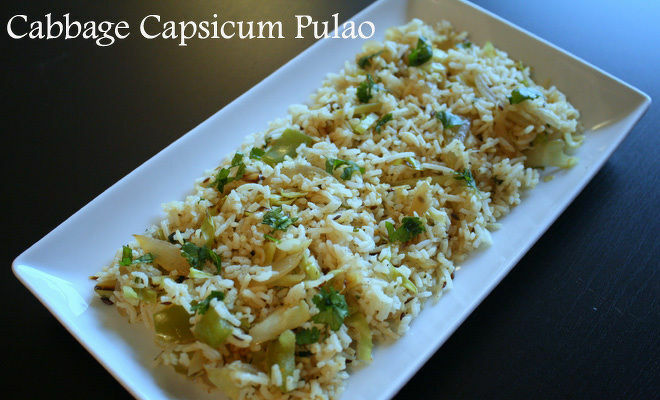 Sprinkle some lemon juice over the pulao for that tangy effect. 3. 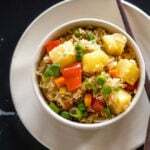 Do not overcook the cabbage, it’s crunchiness makes this rice dish all the more delicious. 4. Mint leaves can also be added along with the veggies.